I’ve been thinking recently about the fact that I haven’t shared a single recipe or food post since I started this blog, and because I dedicated a whole category to Food, it was going to become a problem at some point. But to be fair, it’s hard to write about food when I’m just not into cooking right now. In my mind, summer is not for cooking. Summer is for hanging out at the lake. Summer is for vacation. Summer is for grazing on picnic snacks. 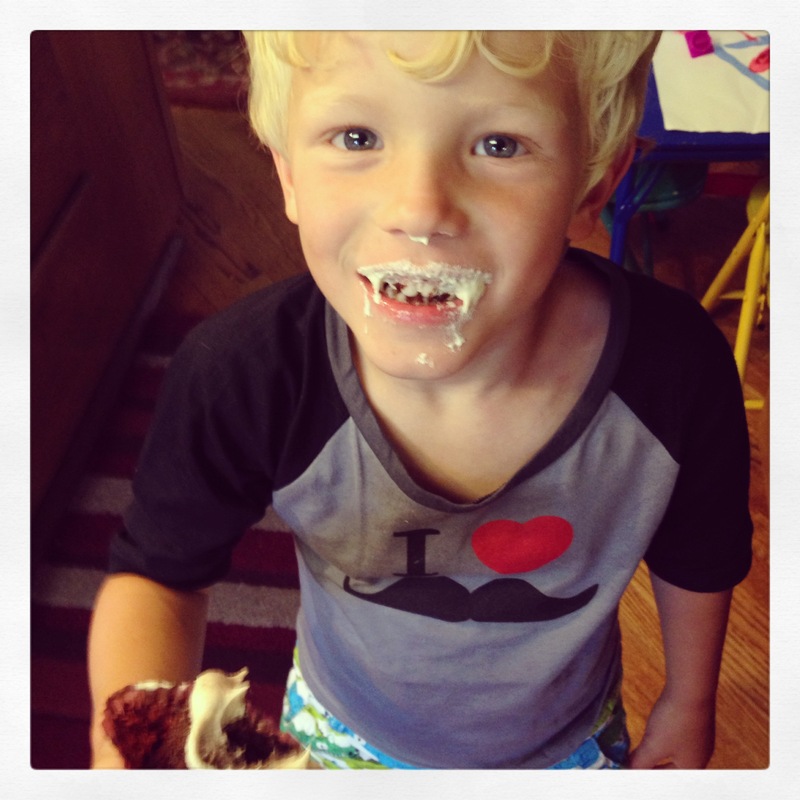 I feel sorry for my husband and children, because I am not sure they share this vision of summertime eating. Fortunately for them, in the past few weeks, I have started to get at least a little inspired by the amazing fresh produce that is finally coming into season at local farm stands here in Michigan, as well as in the little late start garden I planted when we arrived here earlier in the summer. Unfortunately for them, I’ve been particularly interested in playing with the early zucchini, as I planted several zucchini plants in my garden and am anticipating a bountiful harvest (hopefully in time for me to take some of it back to the city). They all generally despise zucchini, or any type a squash for that matter, which is a bit traumatic for me, because I would eat grilled or roasted or sautéed squash pretty much daily. So after the stuffed zucchini boats (which were delicious if I do say so myself) went down in flames with my kids (primarily because they wouldn’t bring something so green to their lips), I knew I was going to have step up my game and do something trickier to get the zucchini into them. As I was baking my sister-in-law’s drop dead amazing carrot cake for my youngest son’s birthday a few weeks back, I was annoyed by the pile of zucchini stacked on the counter in front of me. It was taking up precious baking space and it was on the verge of going bad. I was five seconds away from tossing it all in the garbage in a fit of over-clutter anxiety, when the light bulb went off. My Pinterest board was full of chocolate zucchini bread, brownie and muffin recipes that I had been meaning to check out. Could I use this carrot cake recipe as a starting point and make my own chocolate zucchini cupcakes to take to the party as well? Turns out I could. And they were super easy. And they were good. Really good. With frosting. Without frosting. My boys loved them either way. Their cousins loved them either way. Strangers loved them either way. So I figured these were worthy of sharing. They are vegan, gluten-free and actually have some nutritional value, but you would never know it. They are moist, rich, flavorful and dreamy. Preheat oven to 300 degrees. Combine oil, sugar and flax eggs until thickened. Add in remaining dry ingredients and mix until well combined. Stir in grated zucchini. Next, stir in chocolate chips. Place batter into cupcake pan in 1/4 cup increments. You can either use cupcake liners or leave the pan ungreased. Cook for 1 hour at 300 degrees. Low and slow is the key! Makes 2 dozen cupcakes. Using hand mixer or stand mixer, combine Earth’s Balance and cream cheese until smooth. Add vanilla and powdered sugar and blend until well combined. Make sure cupcakes are completely cooled before frosting. I used a Wilton #12 tip and piped on the frosting. 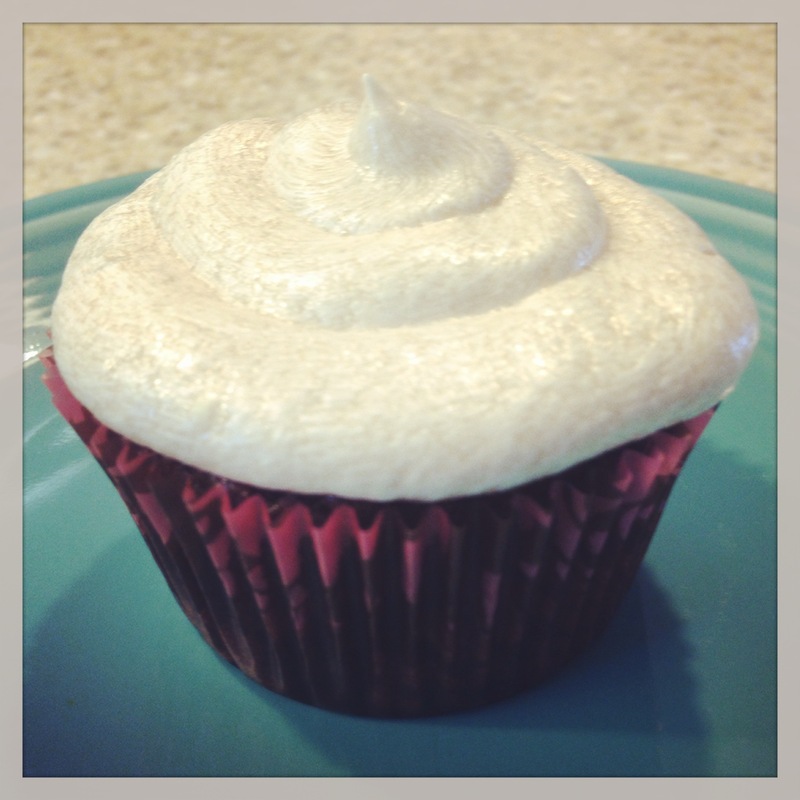 If you haven’t tried piping frosting give it a whirl. I find it soothing and much more efficient then spreading! Thanks! It’s fun when something actually works :). I’d love to hear some of your tricks. We can never have too many up our sleeves, you know!